Korean students with foreign language skills are being invited to interview ambassadors posted here to help bridge cultural gaps. Students proficient in one of 20 languages are being sought to question foreign diplomats on their jobs and their impressions of Korea. Citizens who are near fluent in a European language such as English, French, Italian, Portuguese, German, Polish, Swedish or Spanish are eligible for the program. Those who can speak Japanese, Chinese, Thai, Arabic, Vietnamese, Indonesian, Malaysian, Turkish, Mongolian, Russian, Nepali, Bengal, Uzbek, Kazakh, Hindu, or either of the Sri Lankan languages of Sinhala or Tamil may also apply to put their language skills to use. The Joinus Korea (JOKOER) project aims to expose Koreans to foreign cultures through languages, while shifting the emphasis away from just the most commonly spoken second languages here. “Most Korean citizens show strong preferences towards familiar culture such as United States, China and Japan,” said Joinus Korea chief committee member Seo Yong-Seok said. The Mongolian, Polish and Sri Lankan ambassadors to Korea have already pledged to take part in the project, with many other embassies also voicing a strong interest. The full interview schedule will be completed in early January. “Most ambassadors have a very positive attitude toward this event,” Seo said. Two representatives from each embassy will be quizzed by young Koreans on topics ranging from their hobbies and impressions of Korea to more serious matters including their main diplomatic projects, and what policy directions they would like the Korean government to take. The interviews to take place in February and March will be recorded to form 20-minute video clips and released on the Joinus Korea website. “There are more and more foreign people residing in Korea as this country has more and more popularity with foreigners. There are now many people coming from all over the world to Korea including travelers, students and migrant workers. We need to focus more and more on multicultural society,” Seo said. More than 500 people have already registered to become interviewers for the “Millions’ Dreams of Global Culture Communication Campaign” with applications still open until Jan. 20. 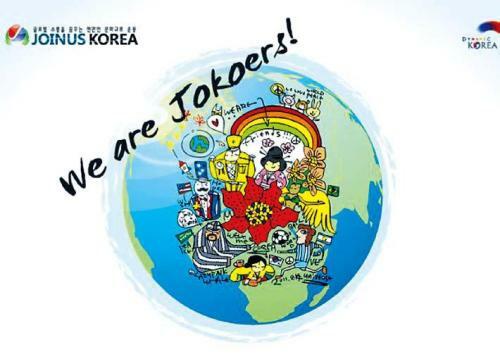 Go to www.jokoer.org or email joinus@joinuskorea.org for applications and further information.